The world was about to get a back-to-back helping of western cinema from Quentin Tarantino when we learned of his next film, The Hateful Eight. 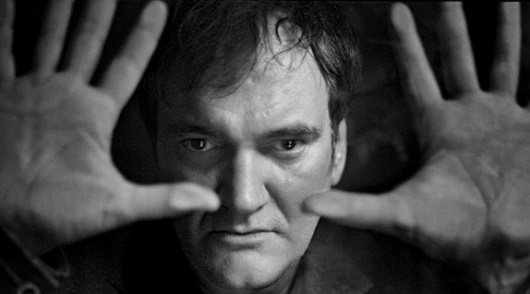 However, when the scripted for The Hateful Eight was leaked online after it was distributed to handful of actors for a first read, Tarantino was so soured by the betrayal that he shelved the project for the time being, if not indefinitely. We are now learning that as part of the original distribution of the script, Tarantino also provided a list of songs that would comprise the soundtrack, and included an assortment of rockabilly artists, Bob Dylan, and Ennio Morricone score selections among the nineteen listed songs. Tarantino has an absolute knack for creating fantastic soundtracks mixing pop and score selections, and this proposed list is nothing short of incredible. Continue below to see the full rumored soundtrack listing and listen to tracks. Intrepid fans of the list have already created a YouTube playlist, like the one below, approximating as close to the soundtrack as possible given the songs currently available online. If you have Spotify, here’s the soundtrack as close as possible given the streaming music service’s available tracks. Hopefully we’ll still see The Hateful Eight on the screen in the near future, as based on the soundtrack alone and the actors Tarantino was courting – including Bruce Dern and Christoph Waltz – this is bound to be quite the cinematic experience!